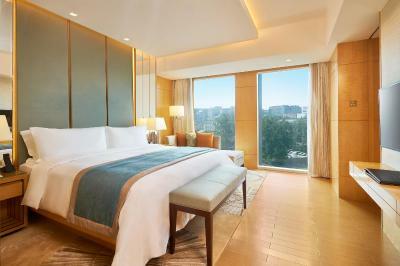 Lock in a great price for Pan Pacific Beijing - rated 9.1 by recent guests. Rooms were lovely, big bath and king size bed. We had the roast duck in the Chinese restaurant it was divine. Would definitely recommend! Great location close to subway and shopping mall with many restaurants. Nicely furnished, friendly staff, spacey gym, tasty breakfast with many options for Europeans as well. Very nice customer service, extremely friendly and nice French front desk employee. The staff at the front desk were very helpful and friendly only if one could speak Mandarin/Chinese. Love the ambience, the room especially and reception. Amazing staff. Ask for Jahida! She will help you with everything. Bed and pillow very comfortable and cosy. Breakfast choices could be better. Service staff for breakfast attitude needs to be improved. Friendly team, great location. Very happy with my choice of hotel for my trip to Beijing. Very fast to make things right. 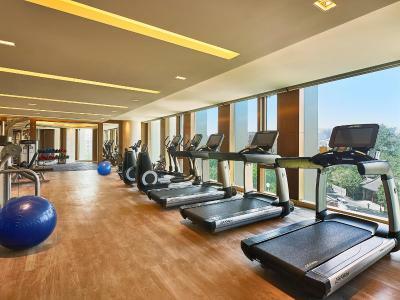 Set in the popular Xidan Area, Pan Pacific Beijing is 1.1 miles from Forbidden City and offers facilities like free bikes. Featuring a 24-hour front desk, this property also provides guests with a terrace. Free WiFi is provided throughout the entire property. The hotel is adjacent to Xidan Joy City. Xidan Metro Station is just a 5-minute walk from the property. Popular points of interest near the accommodation include Dashilan Street, Qianmen Street and Shichahai Area. 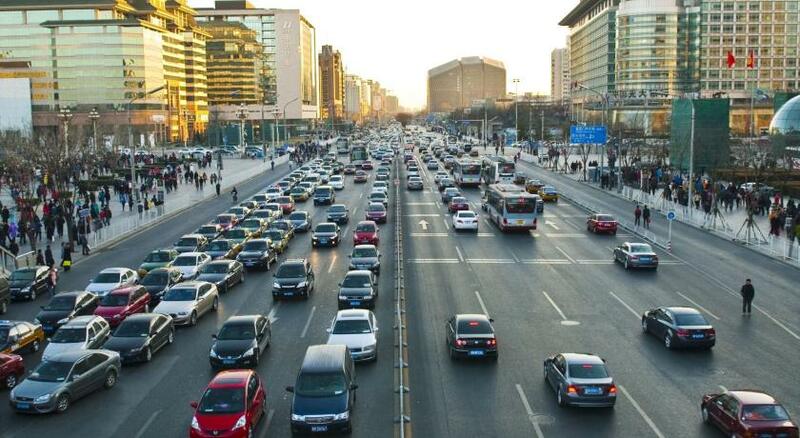 Beijing Capital International Airport is about a 1-hour car journey away. At the hotel, the rooms have a desk and a TV. Each room has a private bathroom with a hot tub. 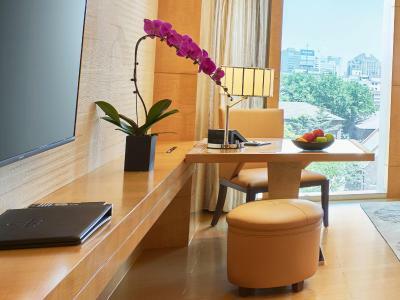 At Pan Pacific Beijing every room is fitted with a seating area. A vegan breakfast is served daily at the property. 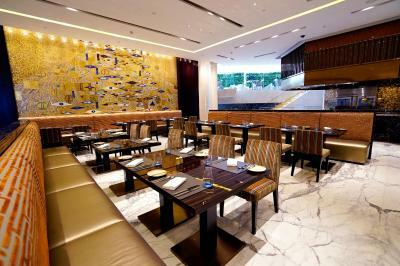 Guests can grab a bite to eat in the in-house restaurant, which specialises in Japanese cuisine. 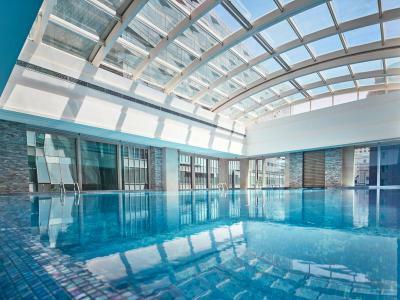 Pan Pacific Beijing has been welcoming Booking.com guests since 17 Apr 2017. 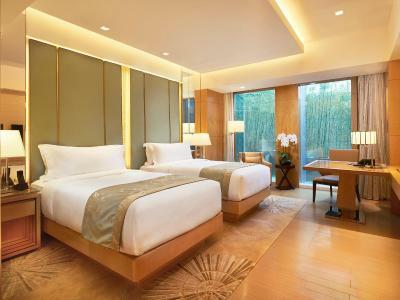 When would you like to stay at Pan Pacific Beijing? This twin/double room features a tumble dryer, cable TV and air conditioning. This twin/double room has a electric kettle and tumble dryer. This suite features a electric kettle, minibar and bathrobe. - terrace barbecue for 2 guests. This twin/double room has a bathrobe, electric kettle and air conditioning. This suite features a soundproofing, seating area and bathrobe. House rules Pan Pacific Beijing takes special requests - add in the next step! All further older children or adults are charged CNY 525 per night for extra beds. Greatwall Peony Dragon Pan Pacific Beijing accepts these cards and reserves the right to temporarily hold an amount prior to arrival. Pan Pacific Beijing accepts these cards and reserves the right to temporarily hold an amount prior to arrival. 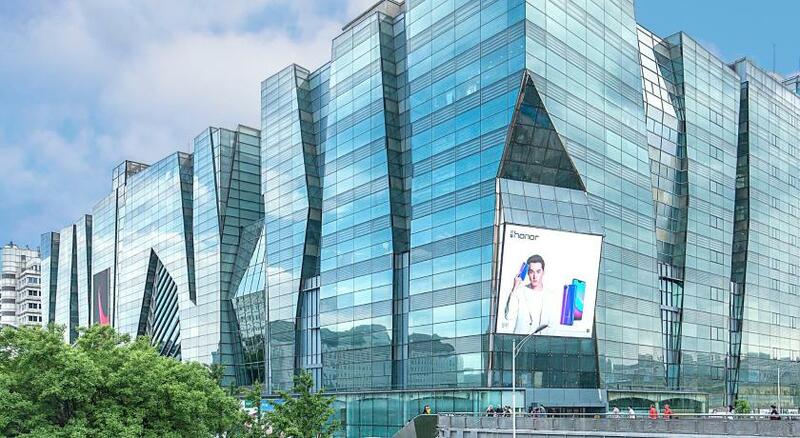 Please inform Pan Pacific Beijing in advance of your expected arrival time. You can use the Special Requests box when booking, or contact the property directly with the contact details provided in your confirmation. Excellent hotel except my friend who I included in the booking got an upgrade but not myself..
very strong smell from the new decoration materials, couldn't stand it, so didn't stay there. Breakfast ran out of food very often, and was not replenished for a long time. One day it smelled heavily of cigarette smoke in the halls, though staff did come quickly to respond when I reported it. Staff serving the fried dumplings and jianbing counter were very unfriendly and impatient. Most of staff were extremely friendly and helpful. Especially the housekeeping lady on the 8th floor who got to know us quickly and was very accommodating and kind. The room and the view was amazing! very close to food options in malls nearby. A Chinese reception manager offered us as he said a “great price” for a trip to Chinese wall which should cost 2000 Chinese Yuans. We have booked a private tour guide and car for 600 Chinese Yuans. You just don’t want to be fooled by a hotel’s employee in a 5* hotel. People at the reception do not speak fluent English but at least are very helpful and nice anyway. I would expect a toilet cleaning tool in the bathroom. But I haven’t seen it anywhere in China so perhaps it is just not common. The hotel room is spacious and nicely designed. The locarion is excelent. The staff were all so nice and helpful. Price value. Main hall deco and design. In room dining is not quite what one would expect from hotel of this caliber. They are seemingly new, and freshly breaking into the western market, however, this has to be improved upon to be competitive in the higher league of hotels. They mistakenly sent pork instead of chicken with my caesar salad and when it was resent it still had pork in it with chips and all sort of odd bits. They also totally missed one of our entree orders and the other (oxtail) was seriously under cooked. This was just with 1 nights order. This area was our only complaint with this hotel..otherwise, it feels like home. The morning buffet was comprehensive but became boring after 3 days. The staff was always ready to help with any requests especially Emma in the breakfast and dinner buffet and Jahida, the guest relations manager. They were incredibly kind to my entire family for the 10 days we were there.